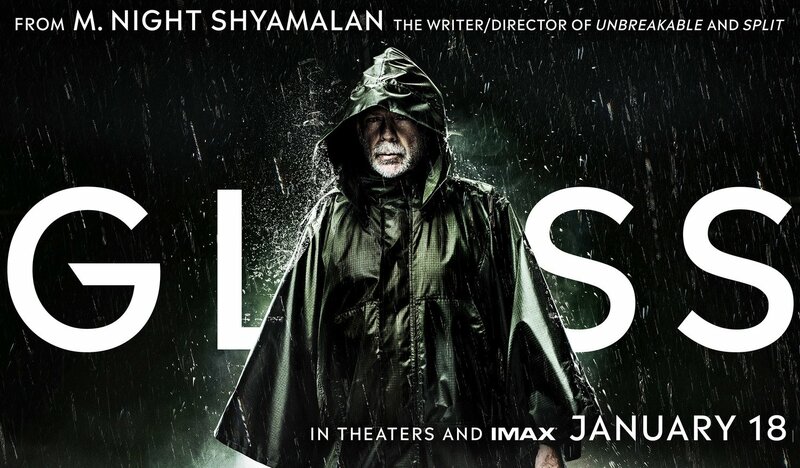 Universal Pictures provided ComingSoon.net the chance to speak 1:1 with Glass mastermind M. Night Shyamalan, who talked to us about how he developed the followup in the two decades since Unbreakable came out. Check out the interview below! Along with Bruce Willis’ David Dunn and James McAvoy’s The Horde, Samuel L. Jackson returns as the title character Elijah Price, aka Mr. Glass. The power-trio will be joined by Sarah Paulson (American Horror Story) as a psychiatrist who specializes in “individuals who believe they are superheroes” and who is treating them at a mental hospital. Also starring in the film is Anya Taylor-Joy as Casey Cooke, the only captive to survive an encounter with The Beast, who reprises her role from Split. The cast is rounded out by Unbreakable’s Spencer Treat Clark and Charlayne Woodard, who reprise their roles as Dunn’s son and Price’s mother, respectively. A Blinding Edge Pictures and Blumhouse production, Glass is now playing in theaters everywhere! ComingSoon.net: I had talked to Jason Blum last year, and he said this movie was definitely going to cost more than the typical Blumhouse movie, yet you still insisted that you do it on the cheap. For example, you only had $800,000 for visual effects. What were some specific limits that you gave yourself with this self-financed budget, which I heard is around $20 million? M. Night Shyamalan: Yeah. It was hard because it’s a big cast, and we had to shoot these physical sequences. Those take time and there’s wires and everybody needs to be safe and there’s stunt coordinators. So there’s mechanics involved, as opposed to the you and me scene in the bedroom, where we just talk. So all those factors come into play and there’s no wiggle room, you know? There’s just no wiggle room. You can’t fall behind, so we didn’t fall behind. Just under that premise that you can’t fall behind, it’s so precise, it’s almost maniacal. There’s just no extra room for anything. CS: Right. But it wasn’t a situation where you were like, “Good enough”? Shyamalan: No. In retrospect, what I would’ve done is pare the script down before I shot. The script is my longest script. We ended up shooting everything and then we trimmed it down to the movie that you saw. 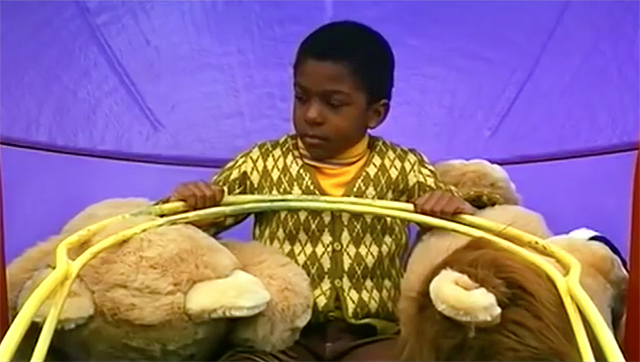 Those things that are on the cutting room floor that you’ll see on the Blu-ray took time and money and I would’ve tried to be harsher in the writing of it and said, “If your child is going to get taken from you, what 10 pages do you lose?” That kind of exercise. CS: Speaking of deleted scenes, I was really happy that you were able to find a place for the carnival scene because that was a huge loss when you did it originally. CS: You cut it because it didn’t fit the rhythms of “Unbreakable,” and then you sort of truncated it for this movie. CS: And you had close to 30 minutes of deleted stuff from “Unbreakable.” What made you choose the scenes that you chose to bring back? 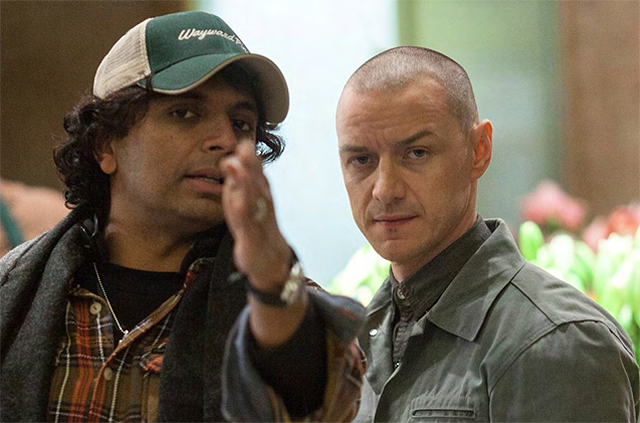 Shyamalan: Yeah, rather than me shooting a new one, using the one I had. Then the same thing with the boy. She’s like, “Make sure this is not more important to you than to your dad. Are you sure you’re not the one promoting this? Are you a kid stuck in the belief that your dad’s Superman?” And then go to a scene where he remembers telling his dad that even though his dad was saying it’s not true, it’s true. CS: Are you a fan of the movie “Phantasm”? CS: Okay, well the director of that did a similar thing with the fourth “Phantasm” movie, where he literally didn’t have enough money to finish the film so he included outtakes from the original film to pad it out but also add dimension to it. CS: So it was a similar thing to what you did with the flashbacks. CS: And it had a similar effect that yours did, where you’re seeing the back and forth of 20 years. Shyamalan: Wow, it’s so cool. And there was one more scene that was in the movie that I pulled out at the last minute, but it was the Bruce and the priest talking, which was super, super powerful, yeah. CS: Bruce is gone for big chunks of the film. Was that because you only had X amount of time with Bruce, or was that part of your plan? 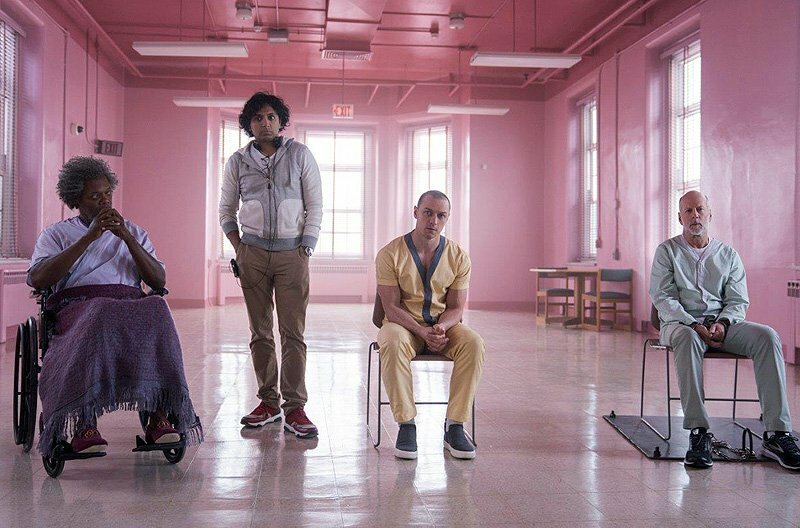 Shyamalan: Yeah, there’s three main characters and really more than that, when you think of The Hoard, because Patricia’s a main character, Dennis is, Hedwig is, Kevin is, The Beast is. So he comes with five main characters. So you’ve got five, then you have Elijah, then you have David. And then you have all their family members, so Casey -which I consider a family member- Casey, Joseph and the mom. And all of them need the screen time. And then, of course, you have Dr. Staple, too, a new character. So there’s a ton of characters. CS: Sure. It’s an ensemble. Shyamalan: Yeah, an ensemble piece and trying to get the balance of it right. CS: You’ve said that The Hoard was in your original draft of “Unbreakable.” How did your conception of his place in the story, as well as the trilogy as a whole, change over the two decades? Shyamalan: It was always meant to be this guy gets told he is a superhero and he comes to believe it and he tests it out. This guy abducts three girls and says The Beast is coming and he’s extraordinary. They were meant to bump into each other, and then the two of them would fight and prove Elijah to be correct and then be outed. That was the original conceit. That was what the original movie was supposed to be, and I couldn’t pull it off. So, you can see that’s what it is. So, essentially that version of “Glass” would be the beginning of “Glass” and the parking lot sequence, and put the end of “Glass” together, and add that onto “Split” and “Unbreakable” and that was the original version of the movie. CS: It’s hilarious now that “Unbreakable” starts with a literal definition of what a comic book is. We don’t need to do that nowadays. It made me curious about how much you have delved into the mythos of comics in the intervening years since the first film? Shyamalan: I studied a little of the history of Marvel versus DC, and how Stan Lee, interestingly enough, would say, “Our superheroes are superheroes like DC, but ours have to pay the bills.” So he was one step more human, one step more grounded. So those kind of thoughts. And then I was reading some other books about the history of it and how it reflected whatever times we were in, Cold War, this or that, and how it was always talking about our ID and our fears and how it started to become more and more sensationalized as we went and we just accepted those tropes as comic books and just connected with how it was grounded, to Elijah’s point.